What a gloomy day outside. I knew it was wet when my cat rubbed round my legs first thing this morning. Looking out of the window I could seen a fine sprinkling of snow. That’s all gone now and the rain has set in. What better thing to do than read Les Misérables for a while and then tackle the problem of where to store more books than will fit onto our bookshelves. Certainly they appeared utterly depraved, corrupt, vile and odious; but it is rare for those who have sunk so low not to be degraded in the process, and there comes a point, moreover, where the unfortunate and the infamous are grouped together, merged in a single, fearful word. They are les misêrables – the outcasts, the underdogs. I read with bated breath the account of Marius watching through a peephole the terrible happenings in the room next to his as ‘Monsieur Leblanc’ (Valjean) is ambushed, and I wondered how he was going to escape from both the gangsters and Inspector Javert. I have now finished Part Three, which ends with the introduction of a street urchin, another significant character I assume. So for the rest of the day it’s more sorting and tidying. D has found a space for another bookcase and in his wonderfully resourceful way remembered he had the parts to make one. He has put them together and now it just needs fixing to the wall and then I can fill it up. Yet another book I must read before I die! Sounds like a good day to read! Good luck with your new shelves! I have not read Les Miserables but have always wanted to. Hopefully one day . . . I haven’t read it either – and it sounds like just the sort of thing I’d love. Excellent read for a day like today. It was miserable here too. I still had the light on at 11am because it was too dark to see to do anything and there are windows at both ends of my lounge. 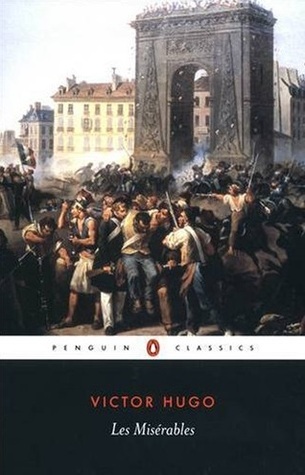 I love ‘Les Miserables’ but it’s years since I read it. I would add it to the list but suddenly there is a great host of Elizabethan and Jacobean playwrights clamouring to be re-read! I think I shall get The Bears to act them out. It would give a whole new twist to plays like ‘Dr Faustus’. What would a Bear sell his soul for?